Metal Gear Solid 2: Sons of Liberty is celebrated for how it critiques social engineering, Hideo Kojima having crafted a theme that shows how controls built into the social fabric of a culture can shape an individual’s thoughts, ideas, and beliefs. 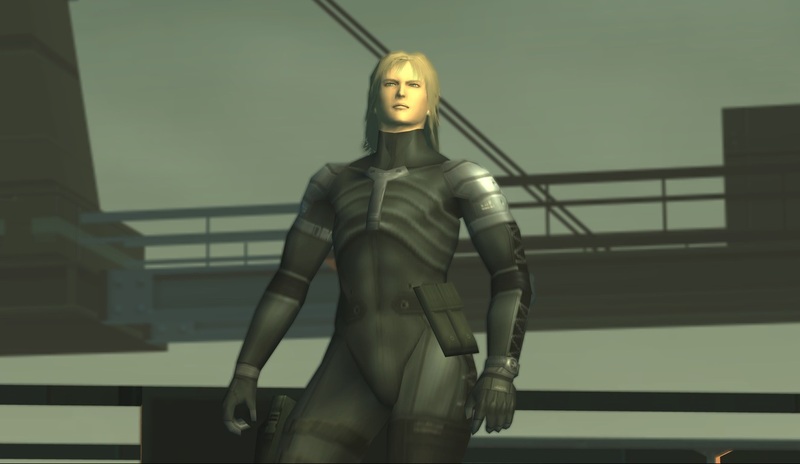 The story and game progression do an outstanding job of subtly running players through a simulation of the events of MGS1’s Shadow Moses incident as the rookie Raiden, forcing them to question whether their actions were truly their own or if they had been molded into a clone of Shadow Moses’ legendary hero Solid Snake. The theme is perfectly suited for the medium, since it shares so many of the concepts as the behavior-based fields that influence social structures, including economics which uses incentive schemes to promote or discourage an individual’s actions instead of buttons on a controller. But to truly own the idea that the game creates Solid Snakes, it has to design mechanisms that impart his skills to the players themselves. It begs the question; does Sons of Liberty’s machine of interlocking mechanics and systems manufacture great soldiers? To answer that, we’ll need to examine its cogs. The first thing that must be considered is what it means to be Solid Snake. Metal Gear Solid presented him as a specter whose considerable talents allow him to slip invisibly into any fortress and past the most hardened enemies. His character is concretely defined and the relative simplicity of the games design supports it. MGS2 expanded the series elements into a more complicated design and a much different dynamic. Your goal is still to get past guards patrolling set paths, but they are given greater sensory capacities, more realistic behaviors and stationed in a complex facility with multiple levels that create a wide variety of game scenarios. Sneaking through an area unnoticed requires maneuvering the character outside the lines of sight of its guards and obstructing them with objects in the level. The industrial Big Shell is a geometric place ideally built for its fixed-but-dynamic camera perspectives and the four cardinal directions of the dualshock 2’s D-pad. Because walls, boxes and other fixtures are placed consistent with the buttons the player uses, they won’t find themselves struggling with basic positioning techniques. The pursuit of harmonious stealth is about establishing a rhythm of action and observation, about finding the gaps in the angles with which to move, holes that get smaller and their timing more precise with every guard in the area. To widen the gap, options were implemented to disrupt guard’s patrols, from knocks to draw them away from their tracks to nudie books that stop them within them. For the two team hide-and-seek gameplay to work in a model that has a universal ruleset and mutual vulnerabilities, the game has to properly communicate the player’s surroundings. The single most effective tool is the powerful soliton radar, which trivializes the game to the point where you’re playing Pac-Man in a corner of the screen, sins by not forcing you to develop as an agent. The rest make admirable attempts in its stead, offering the AP sensor that detects nearby enemies and the corner and first-person views, but the sheer number of discordant options requires you to regularly-and awkwardly- switch just to get a grip on the scene as it plays out. You’re given things to succeed, but not a working approximation of situational awareness. You learn much about a room’s unique rhythms through trial-and-error. Think about what happens when you get spotted. The shrieking stinger and massive ‘!’ triggers your adrenaline and focuses your attention on the immediate threat so you can act. But as the guard retreats to safely radio in your location, he breaks his line of sight to you and gives you time to either hide or rush forward and engage them depending on your preferred playstyle. 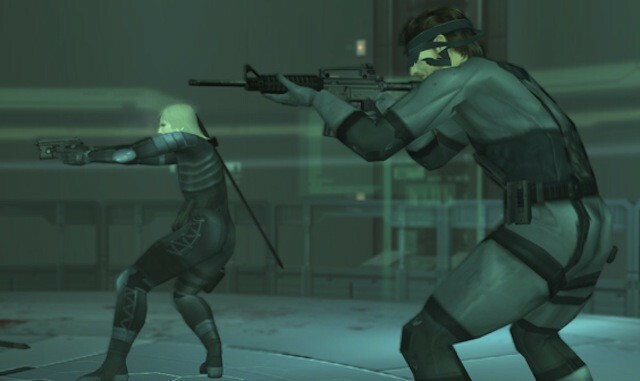 Because Metal Gear’s competing forces create fluid situations of normal, cautious, and alert phases, the large toolset valiantly affords a wide spectrum of gameplay styles, from silent infiltrator to aggressive warrior. The flexibility of the gameplay means that it smoothly transitions to meet the flow of the game. Having your location radioed in by a guard is met with a heavily-armed crew of foot soldiers. If you decide to stand and face them, you’ll be confronted with assault rifles and riot shields. If you hide, they will actively clear rooms and open lockers. Since enemies will infinitely pursue you, there are only two outcomes after you’ve been spotted: successfully hide long enough for the patrols to give up or die. Regardless, the punishment for being spotted is high and the off-screen opposition acts as an ever present reason to not make a mistake. The small feedback loop will quickly teach you that the true warrior’s path isn’t sustainable for more than a few minutes, but that’s appropriate for a stealth mission. Unfortunately, the loop for infiltrators is much longer, its frustrations greater as you could easily spend an hour trying to get through one room without pulling out your guns, constantly being spotted, and be no closer to finding an ideal route. I’ve never figured how to deactivate the bomb in Strut F on European Extreme without using an item or alerting a guard. Both ends of the gameplay spectrum steer the player back down the same path of least resistance. They lead to the suppressed M9 tranquilizer gun, a weapon so instrumental that you start the game with it. The tranq exists at the intersection of stealth and action, a tool to patch the way that neither is attainable in their pure form. You are so strongly incentivized to use the M9 that you’ll fall into a pattern of stopping at the entrance of a map, headshotting every guard in sight and quickly tiptoeing over their bodies before a team is dispatched to investigate. By actively encouraging this behavior, it keeps Raiden from succeeding based on his innate talent while instilling in the player the idea that they’ve failed to live up to the image of Snake that’s been pushed over the series. This is the schism between Metal Gear Solid 2’s design: its mechanical construct clashes with the theme of its story. That’s the answer to our question; the Solid Snake Simulation doesn’t actually train great soldiers, but that doesn’t stop MGS2 from taking credit for it. By prioritizing the experience of its narrative over the skill its gameplay cultivates, Sons of Liberty runs players through an obstacle course and pins a medal to their chest. It produces knockoffs of the original. There’s so much mystique surrounding Sons of Liberty and its meta-textual narrative that there might be some that say that’s the point, that it’s impossible to be the super spy that Solid Snake is. That MGS2’s conflicting design supports its theme. But that would characterize the Patriots as incompetent social engineers and, worse, would undercut Raiden’s climactic decision to fight the social manipulation and think for himself. And that would only end up hurting its premise in a different way.